Realisation of the right to health has proven to be a great challenge even though it is provided for in the International Human rights instruments. Many states have shown more interest to address health inequalities within their countries through the enactment of the legislation. This has done very little to address some of the health inequities that still pose a threat to the realization of the right to health without discrimination. These health inequities have caused one-third of global deaths nearly 20 million [death] every year. This is intolerable, yet ignored by those who hold the power to redress these inequalities. A Framework Convention on Global Health (FCGH) could catalyze national and global actions to collectively transform today’s injustices into justice; into the right to health; into a new chance at life and good health for untold millions of people. This treaty [FCGH] grounded in the right to health is aimed at resolving the vast health inequities between and within states and help to catalyze a new era on global health. 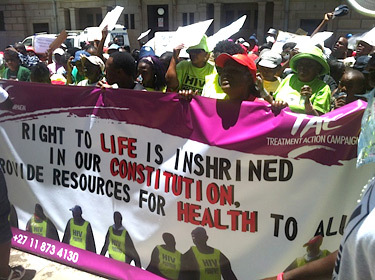 In the bid to address the health inequities, the convention aims at creating norms to ensure the universal conditions required for good health, along with additional proven policies to reduce inequities, an enabling global environment – from sufficient financing to health-promoting trade and investment rules – and people empowered to claim their health rights. The treaty will catalyze far-reaching legal and policy changes that stand to dramatically improve health, especially for people who have benefited least from recent global health gains. And further address the drivers of health inequities such as the social determinants of health, universal health coverage, accountability, discrimination, global systems and international policies in the provision of health services with a specific focus on the marginalized groups. In addition the Frame Work Convention on Global Health will address other determinants of health. While the FCGH may not do everything needed to end health inequities, this treaty would be a powerful response to global health inequities. It could help save millions of lives, prevent millions of people from becoming ill, and improve the lives of those living with disease and disability. It is therefore crucial to acknowledge that the causes of global health inequalities extend beyond the reach of a single treaty. But, enacting the Framework Convention on Global Health would be a landmark in ending health related inequalities.